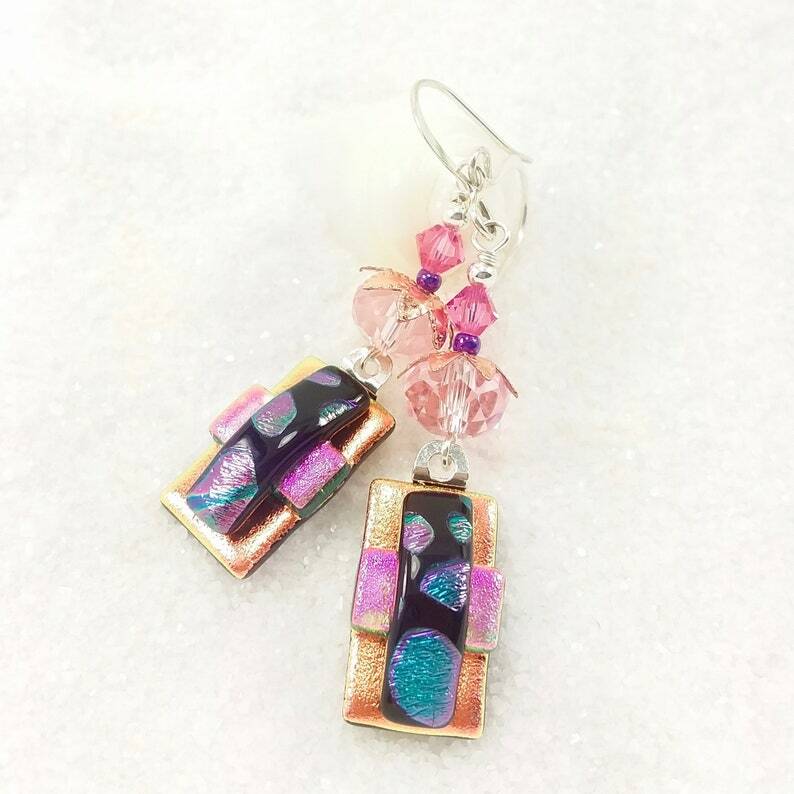 Such pretty "rose gold" dichroic glass! This is a new color for me and I really love it! It looks SO PRETTY with the splotches of periwinkle purple and shimmery bright pink! There are fun copper "flower" bead caps and matching pink Swarovski crystals. Set with silver plated bails & ear wires.